Fed up with Arya Stark’s decision making? Most of us are. But, if the latest fan theory is anything to go by, the pint-sized badass may be even more badass than we thought. The latest episode of Game of Thrones showed Arya trying to find a way to escape Braavos and the Faceless Men. After finding a man sailing to Westeros, she offered him money for a cabin on his ship. As with most GoT episodes, when something’s going too well, you know it’s going to turn sour fast – and episode seven was no exception. 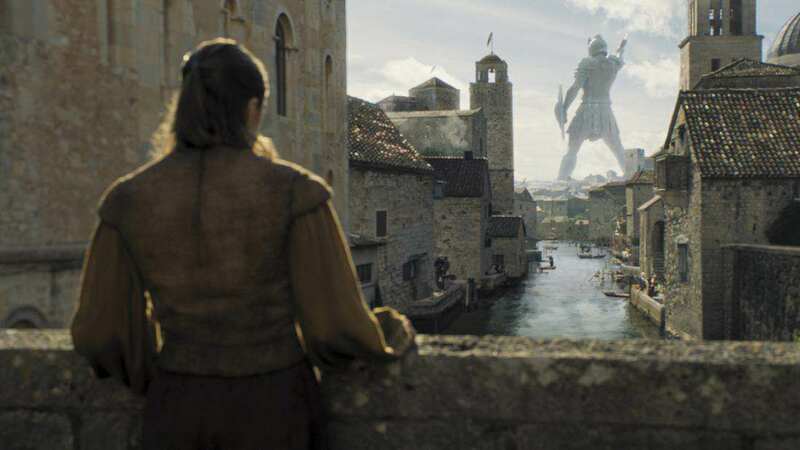 While Arya was admiring the Titan of Braavos on a bridge, lo and behold, a woman comes from behind and – MAJOR SPOILER – stabs her multiple times in the stomach. 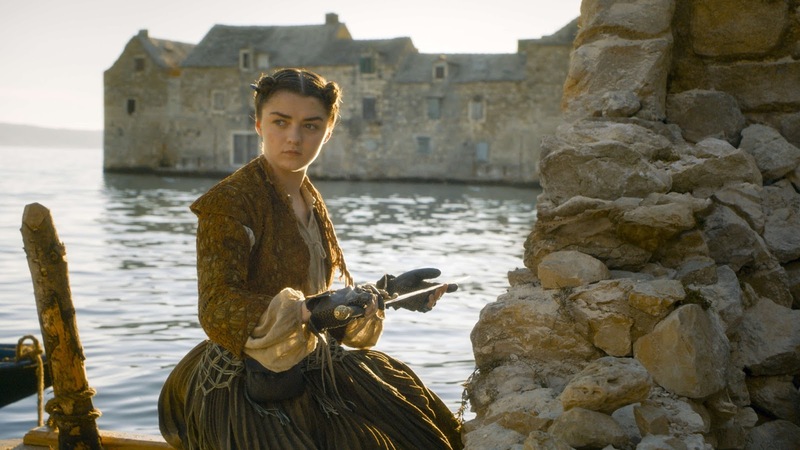 Unsurprisingly, the woman was actually the Waif in disguise, but before she could finish her off, Arya pushed her back and jumped into the water. Obviously, we all know Arya has survived the outcome. But what if it wasn’t Arya? That’s the latest fan theory. As Redditor woohiya points out, in a screenshot before the incident, Arya passes a character who looks a lot like her, and the theory is – perhaps – that she was able to put her mask on another girl in order to lure out any would-be attackers. And Arya’s previous clothing supports this theory. While she was posing as Lana – an orphan who sells oysters – she wears an outfit and hairstyle that is pretty damn similar to the person she passed on her way to the bridge. She’s also not carrying a needle, and where did she get the money to pay for the cabin? But, as another Redditor, appropriately named passingwisdom, theorised, even if it was Arya who was stabbed, it could also be part of an elaborate ploy. She could have gotten help from actress Lady Crane to get the same pouches of pig’s blood used in the play and strap it around her body. We can assume she knows enough from training to figure the waif will attack to the body. So I believe she has 1 or more pigs blood pouches around her body. She knows where and how to do this because last episode… she saved the actress. The actress then provided her help to make the scene on the bridge large and realistic. … She then leaves the water and leaves a trail of blood…. to lead her [enemies] to her. Expecting an unarmed (because she choose not to show needle during the fight scene) and injured girl; they will instead walk down a dark alley and be met with an uninjured girl who knows how to fight in the dark and carrying a sword. 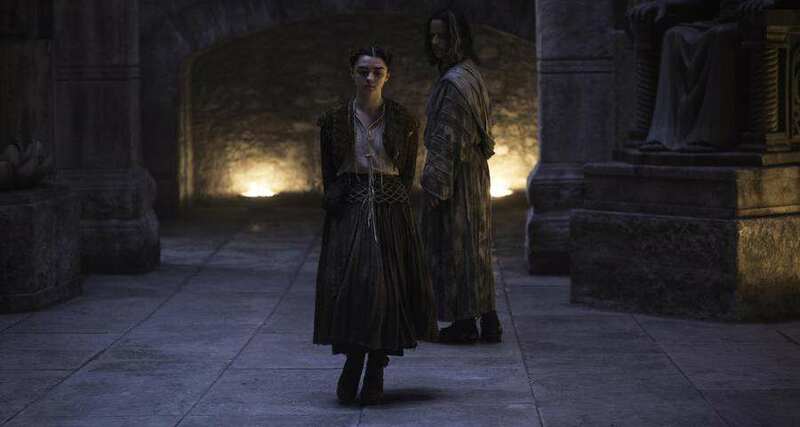 Either that, or Arya was simply just stupid enough to walk around in public, despite the fact faceless assassins were on the hunt for her. Either way, it looks as though she will live to see another day.